So it’s finally time to take a little bit of a breather and go on a vacation. You’ve packed your bags and the next thing you know, you’re already cruising the shore in a boat with your closest buddies. Suddenly, the engine makes a strange sound and you find yourselves in what seems like a standstill. No matter how violently you shake it, the engine simply won’t budge. Oh no! Is there something you can do? If the area is potentially dangerous and the waves are pushing you somewhere you don’t want to be, drop an anchor if at all possible to stabilize the situation. In case your already bad luck somehow gets even more unforgiving and a storm is brewing up, make sure to remove or collapse any objects that would attract lightning – fishing rods, antennas, poles, etc. You could be dealing with a case of clogged filter. If this indeed turns out to be so, replace it with a spare one and try to see if this helps solve the problem. If not, check the primer ball, vents, and fuel lines to make sure there’s a flow. If there is no pressure whatsoever, the gas may be leaking from somewhere. 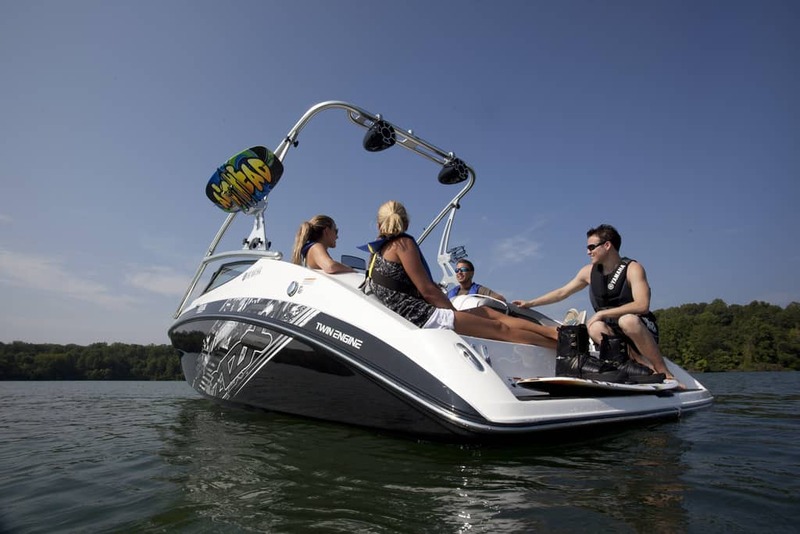 If your engine stopped working suddenly without making any weird noises whatsoever, there may be water in your fuel, a problem that’s hard to resolve without professional boat repair services like Ray Bryant Marine or the nearest one you can find on your local area. Once you’ve established that the fuel problems are unlikely to be the culprit, it’s time to check for electrical problems. In case you determine that the battery is dead, you’re out of luck (unless you have a backup). There are cases when the safety switch gets broken and starts sending out false signals about the engine being in gear, even though it’s in neutral. The solution is to wiggle the throttle while holding the key. If you’re dealing with a turning engine that simply won’t catch, it could be that there is a short on your engine cutoff switch, in which case trying to circumvent it is the right thing to do. Is there a lack of cooling water? If there is indeed a lack of one, your engine might have overheated. Usually, this happens because there’s a lack of cooling water. While this might indicate a serious problem, sometimes, various objects like a plastic back or some seaweed might get sucked in, effectively cutting off the water flow. In case of the latter, just remove whatever is clogging it, wait around a little bit, and resume your journey. Keep in mind this is only a framework of possible solutions to try, and fiddling around with your engine is only ever a good idea if you have some prior experience. Otherwise, leaving the job to a qualified repairman will save you a whole heap of trouble and make sure that you don’t get injured while on the job. Therefore, having a way to make an urgent call should always be thought of before embarking on the boat trip.